8 Responses to Bad Answers, Cont. Now, I would have named the left one Bob and the middle one Sally. The one on the left is definitely man-spreading. nothing right. No chances for reflex reactions. It usually flies right on past. I really can’t stand Olivia – always so sure she’s right. 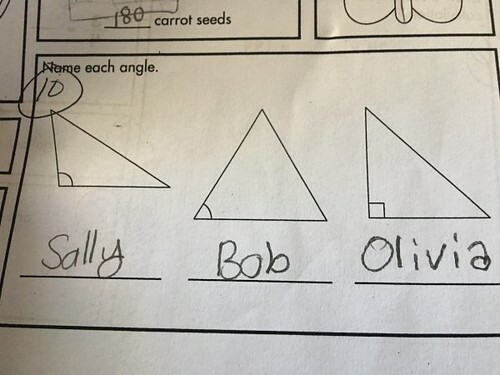 Forget the love triangle of Sally, Bob, and Olivia for a minute. Inquiring minds want to know what the rest of the one cut off upper right is. That’s from the biology portion of the course.